Use this gorgeous white satin gift bag for your bride to be. 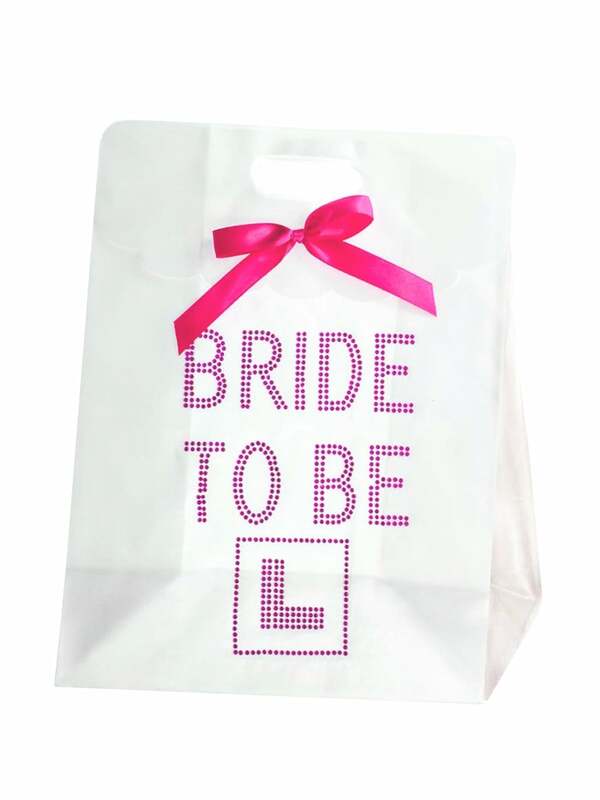 Fill this large soft bag with anything your special girly may need for her hen night. May be a t-shirt, tiara, sweets, handcuffs or even a little present. This bag looks great and is a plain white colour so that the bride to be can keep the bag with her all night long with all her treasures inside. A great size for what I have to put in the bag and made from a nice, silky material.